A new peer reviewed open access data paper offers a comprehensive synthesis of the 36451 specimens preserved in the Herbarium of the University of Extremadura (UNEX Herbarium). The study was published in the open access journal Phytokeys. 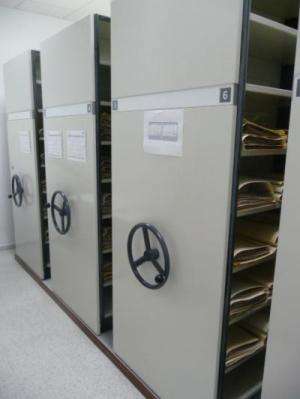 The extensive collection mainly covers the region of Extremadura (Spain) and Portugal, although it also contains a smaller number of specimens from other places. Among these are the rest of peninsular Spain, the Baleares Islands, the Macaronesian region (Canary Islands, Madeira and Azores), the Northwest of Africa (Morocco), and Brazil. 98% of the total records are georeferenced. Each data record in the collection has undergone a quality check by two separate procedures. The specimen records have undergone a taxonomic determination or identification as well as geo-referencing. For taxonomic identification, trusted experts were contacted with 85% of the material being identified by investigators of the Botany Area of the University of Extremadura to ensure quality and reliability. "This paper describes the specimen-associated data set of the UNEX Herbarium, with an objective to disseminate the data contained in a data set to potential users, and promote the multiple uses of the data. ", explains Marta Espinosa, the lead author of the study.